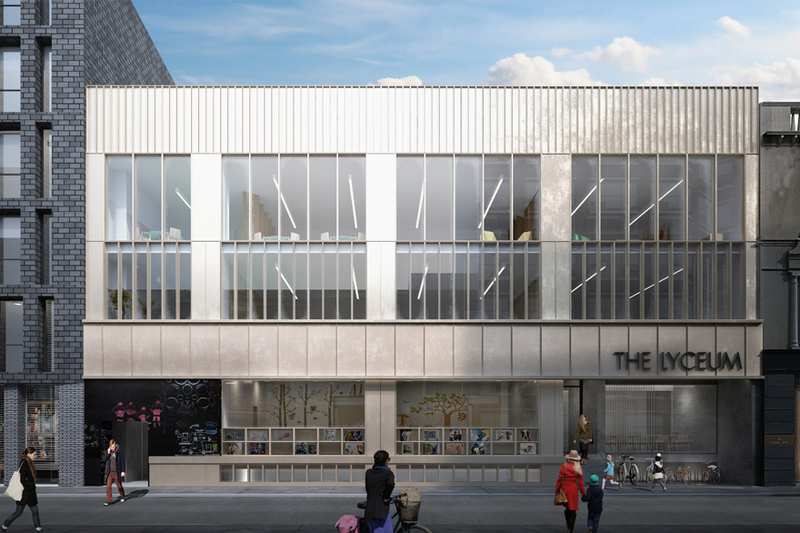 Planning Approval was granted in August 2015 for the redevelopment of the Lyceum School, an independent, co-educational preparatory school in the City of London. Situated at the fringe of the City in the South Shoreditch Conservation Area and nestled amongst adjacent listed buildings, this was an exciting opportunity to improve the existing building, regarded to be of little heritage value and in relatively poor condition. 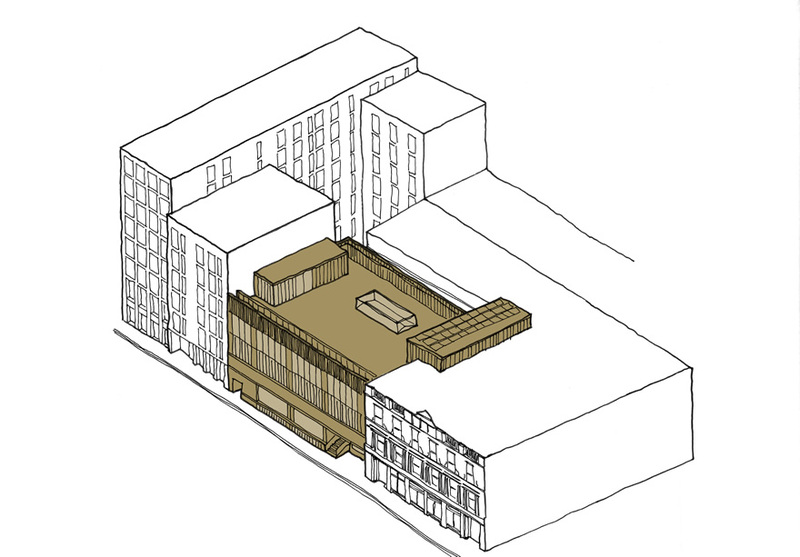 The redevelopment is currently going through Technical Design stage and is due for completion Summer 2016. The redevelopment includes refurbishment of the 1070sqm existing building and erection of a 2110sqm two-storey extension above the existing, with a 1040sqm roof-top playground to provide a secure outdoor play space. The City Fringe is a densely populated area with many small, independent shops, bars, cafés, restaurants and street markets. As a result, there is a contrast in architectural styles between smaller brick warehouses and larger, high rise offices built primarily with glass, stone and steel. The design improves the Lyceum School’s street presence in amongst these varied styles. 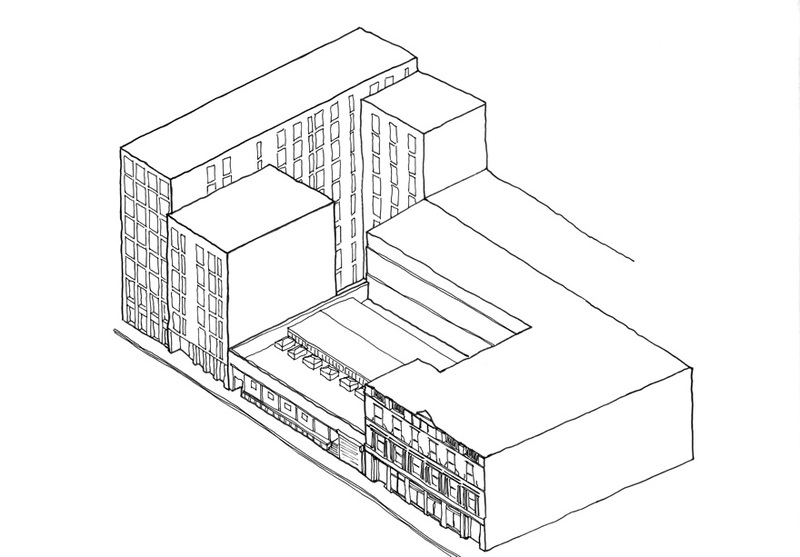 Bounded on three sides with single access from Paul Street, the massing was carefully considered to relate to the surrounding context. 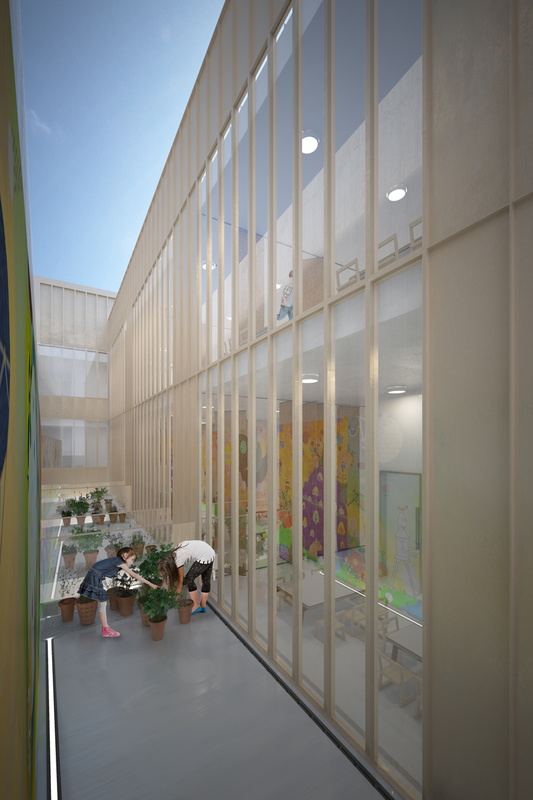 The refurbished building is stepped back from the eastern neighbour, creating a Garden Terrace, which also allows for better levels of daylight to all the classrooms facing onto the terrace as well as external space for pupils to grow, tend to and learn from micro-gardens. 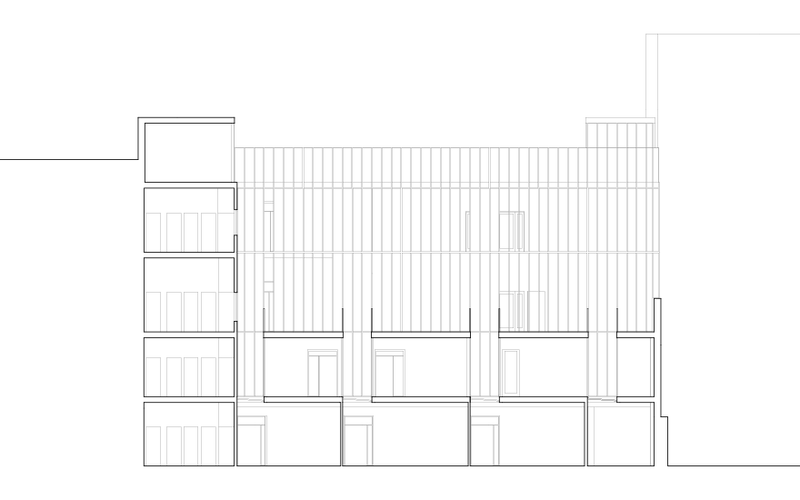 The elevation of the building has been designed contextually, with influences from the adjacent buildings. The refurbished frontage of the school incorporates a fully-glazed facade which derives its horizontal and vertical proportions from the neighbouring Grade II listed, former furniture showroom-warehouse. Deep window frames combine to reference both the horizontal banding and the recessed window of this adjacent neighbour, which was built in the Italian style in the mid-late nineteenth century. 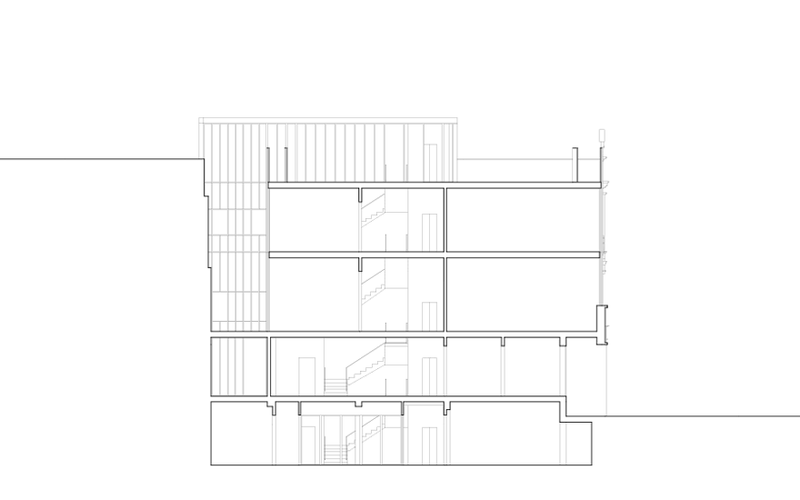 The vertical rhythms of the new facade comprise large, recessed openings and a horizontal plinth between ground and first floor levels. This dramatic, interactive elevation at the ground floor level includes large windows with display boxes for the schoolchildren to showcase their work and the activities of the school. 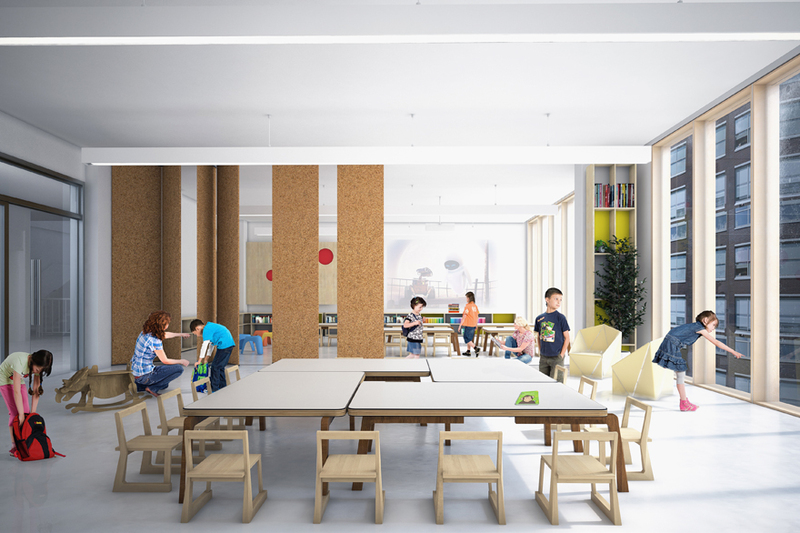 The functionality of the school has been a key consideration, with the provision of high ceilings and maximising glazing to allow for as much natural light as possible. 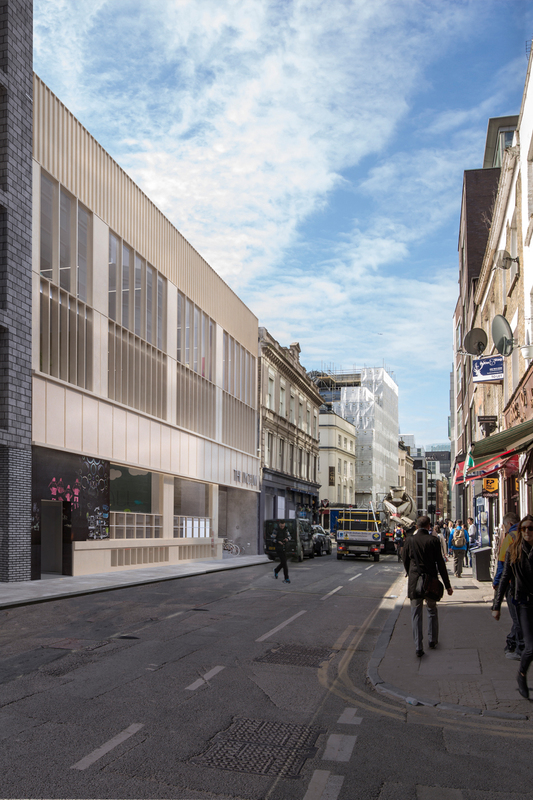 Ventilation is provided through concealed vent panels with integrated noise and pollution filters to reduce the impact of traffic along Paul Street, which is enhanced by the central void with glazed automatic openable vents at roof level. 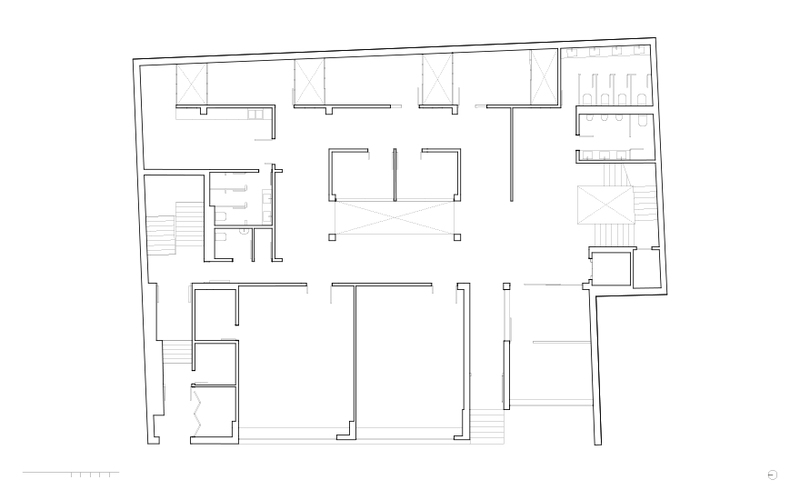 The classrooms are organised around a central circulation zone, allowing the majority of classrooms abundant daylight. A secure bicycle store for staff and students is provided at ground floor level.